In his first North American exhibition, the Belgian artist brings together work from earlier in his career as well as a new site-specific piece created for this exhibition. His application of pigment directly onto the wall integrates the physicality of sculpture and the luminosity of paint. 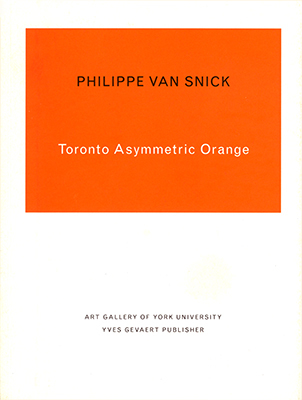 The catalogue includes an essay by Walter Klepac and photographs by Philippe Van Snick.